Come along and see us at The Old Parish Rooms, Rayleigh! We’re super excited to be exhibiting at The Old Parish Rooms, Rayleigh, Essex in conjunction with Rock the Day Wedding Styling on Sunday 19th February from 11am till 3pm. Why not pop along and take a look at this gorgeously quirky venue for yourself. You have the best of both worlds – you can get married in the beautiful Holy Trinity Church, which nestles behind the venue, then you and your wedding guests can take a short stroll to party the night away, or alternatively The Old Parish Rooms are licenced to hold wedding ceremonies so you can get married and have your reception all under one roof! Of course, also attending the fair will be lots of other wonderful local suppliers; florists, bridal wear, photographers, entertainers, stationery etc. 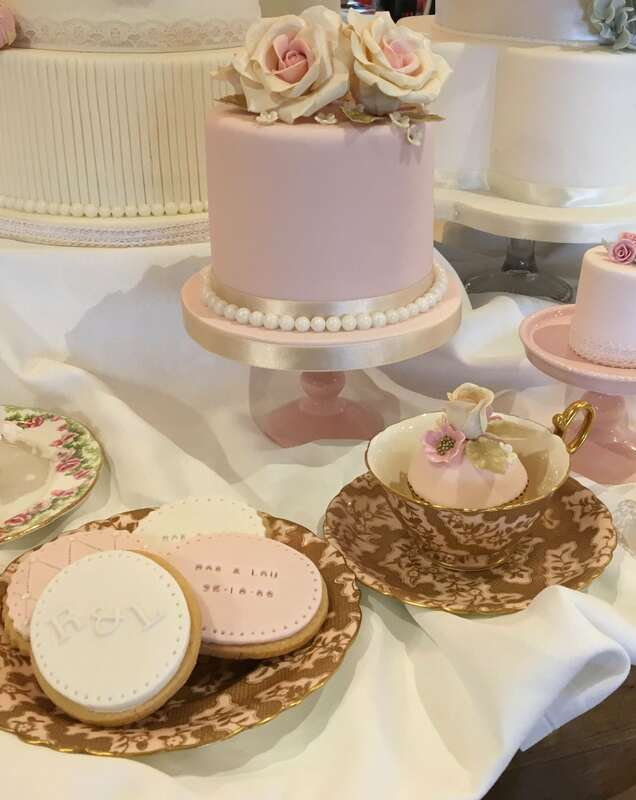 and as far as Sticky Fingers Cake Co are concerned we will be displaying all manner of gorgeousness in the shape of vintage iced wedding cakes, mini cakes, cupcakes, cookie favours and the ever-so-popular naked wedding cake, which always goes down a storm at The Old Parish Rooms. There is plenty of free parking in Rayleigh on a Sunday so if you’re planning your big day and looking for inspiration why not pop on down. As always, there will be very lovely cake samples to try!